Have you heard of "Super Gras?" Mardi Gras 2019 is fast approaching. Before this Tuesday, March 5th arrives, brush up on the holiday's interesting history and some fun trivia. 1. 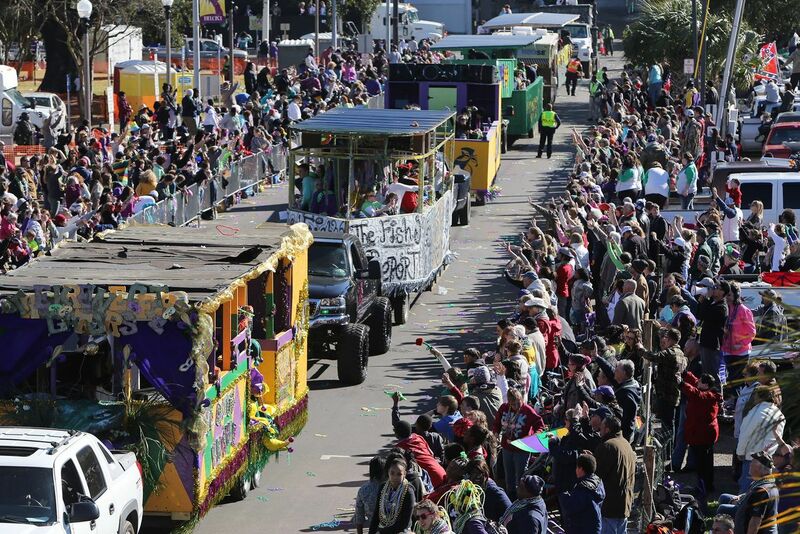 Mobile is the birthplace of Mardi Gras. First things first, the beloved tradition was actually born in Mobile, Alabama, though many associate it with New Orleans. Mobile first celebrated Mardi Gras in 1703, with the party really heating up in 1831. 2. 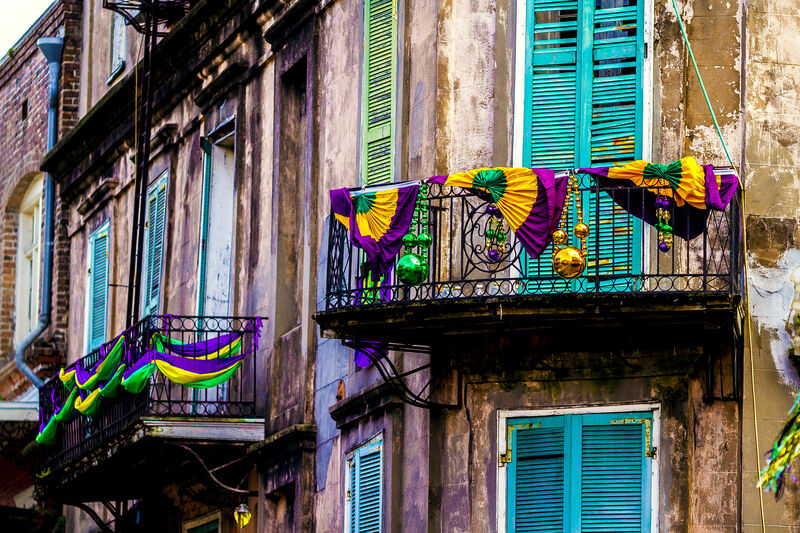 Mardi Gras' purple, green, and gold colors have special meaning. 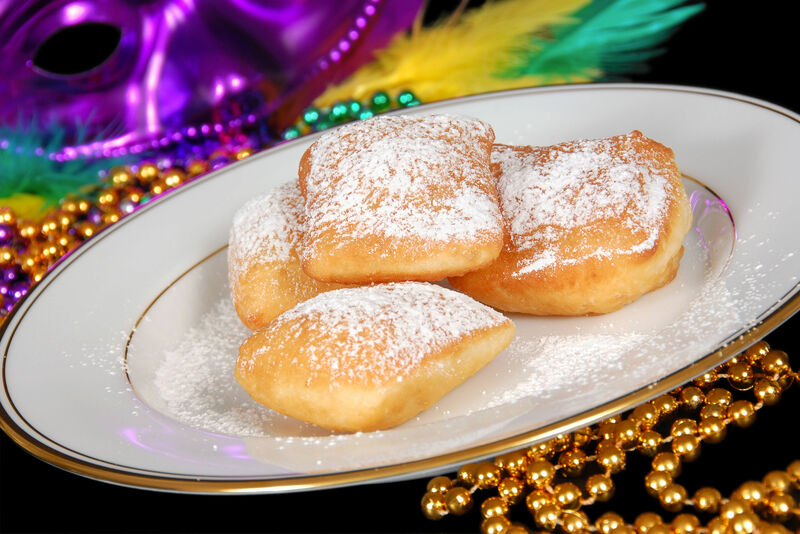 Fat Tuesday is known for displays of purple, green, and gold in every direction you look. What's the story behind this trio of colors, though? Like most things Mardi Gras, the tradition has historic roots. "It is rumored that when Grand Duke Alexis visited in 1872, his welcoming committee handed out purple, green, and gold beads to the party-goers that year, as they were the colors of his home," writes Leah Silverman in Town & Country. "The trio of shades came to symbolize the festivities and were later given meanings: purple for justice, gold for power, and green for faith." 3. 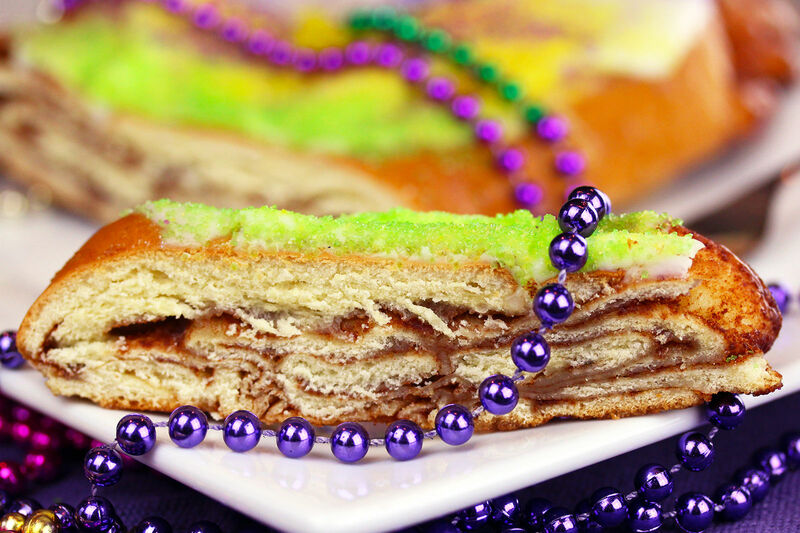 There's a reason the cherished Mardi Gras confection is known as the "King Cake." As Southern Living has previously reported, King Cake didn't get it's name fortuitiously. 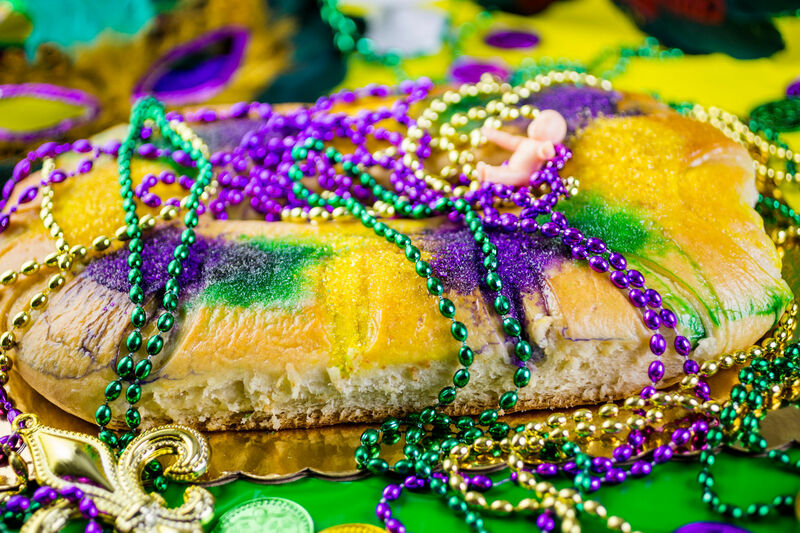 Rather, "King Cake" came to be from the Bible: The name refers to the Three Wise Men in the Bible, who traveled with gifts for Baby Jesus on the Twelfth Night. 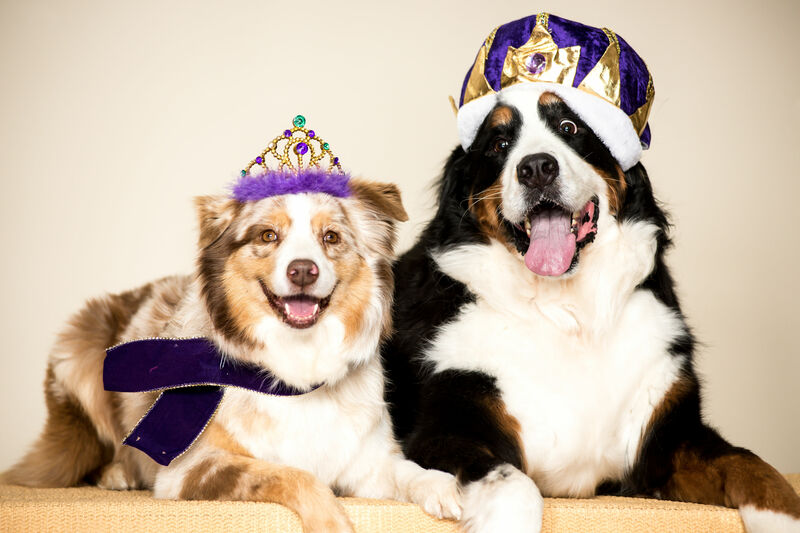 Traditionally, the cake is first served on King's Day, January 6th, and continues being served up until the eve of Mardi Gras "to celebrate the coming of the three kings, as well as to honor them with a sweet homage to their jeweled crowns." 4. 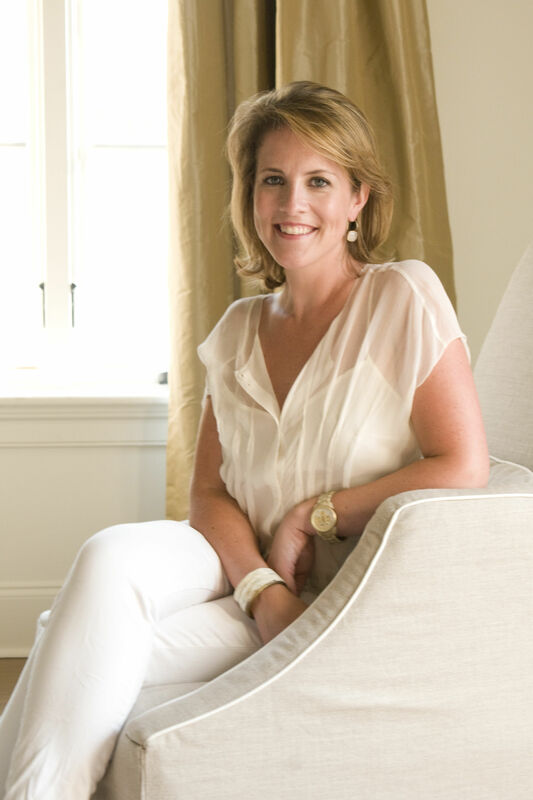 "Super Gras" was NOLA's hottest event of 2013. Ring a bell? In 2013, the Crescent City hosted Super Bowl XLVII along with its annual Mardi Gras parades, resulting in the catchily-named "Super Gras." As History.com reports, "in an effort at crowd control, the city expanded its 12-day parade season so that no one would be marching on February 3, when the San Francisco 49ers battled the Baltimore Ravens. January 28-31 and February 4-5 likewise were kept free of parades," writes Jesse Greenspan. "In a similar attempt at preventing mayhem, official parades have been banned from the narrow, tourist-filled streets of the city’s French Quarter since the 1970s." 5. Parade floats began in the 1800s. 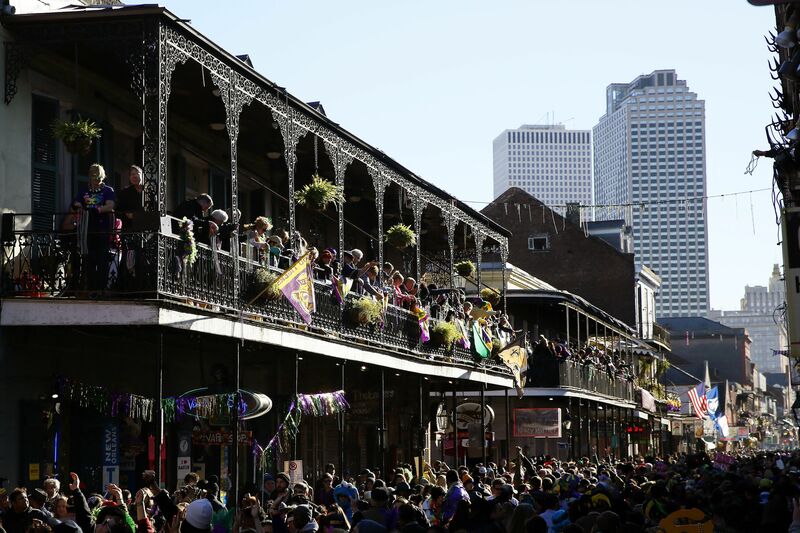 The famous, elaborate floats from Mardi Gras festivities actually date back to 1857, as CNN reports. Though 1857 marked the first time these colorful floats were a part of the New Orleans Mardi Gras parades, the first Mardi Gras parade in NOLA was 20 years earlier, in 1837.